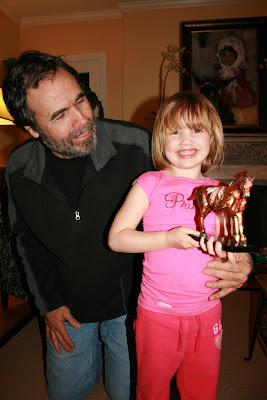 confessions of a former miss-know-it-all: Grandpa visits! My dad is quite cool. I have always known that. He surfs, he bikes, he's an artist, he's a nature lover, he is aware of social injustices, he is a seeker of truth, he is generous to me and my children, he believes in everyones full potential, and he has taught me many of my most valuable lessons in life. 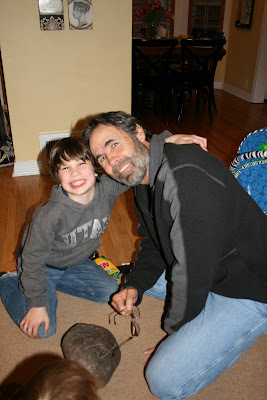 He does have his faults, as we all do, but overall he is a person of great character whom I am grateful to have as my dad. He came to visit, from St. George. 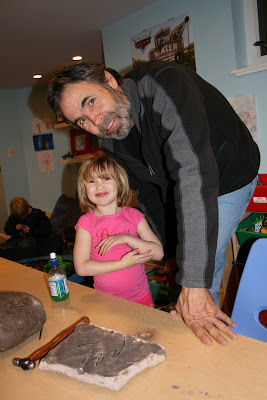 He brought up some rocks, and taught the kids how to make rock art. First he traced their hand on to the rock. 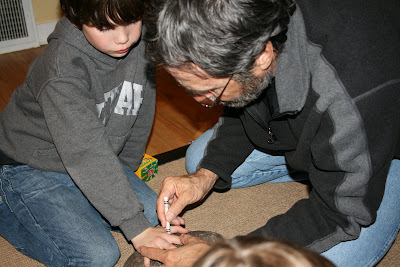 Then he taught them how to chisel away the inside with a hammer and nail, so the outline of the hand was left. 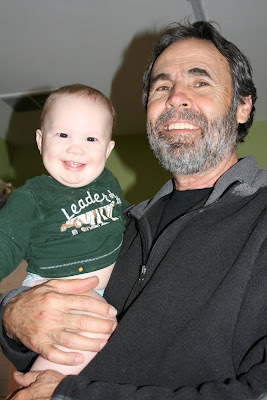 Dalton and Grandpa are great friends. Dalton takes after his grandpa in many ways. They are both natural athletes, great artists, and wonderful friends to many. 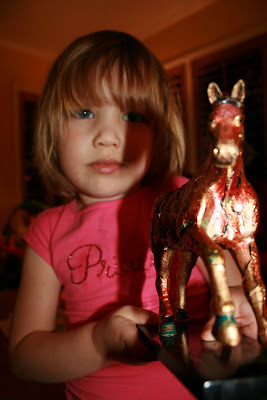 This was the gift that Grandpa brought for Shelby: the most sparkly, shiny horse on the planet. She immediately loved him, and named him "Canada" (we have no idea why). 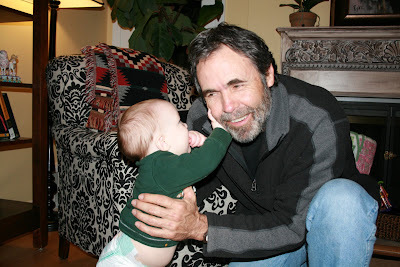 Garrett would not let my dad go.